Giveawaybase has teamed up with Tsumbay to gift 3 of our fans with best selling portable speaker on Amazon! To enter in this giveaway grab your free entries by finishing few simple tasks after registering into the giveaway widget below! 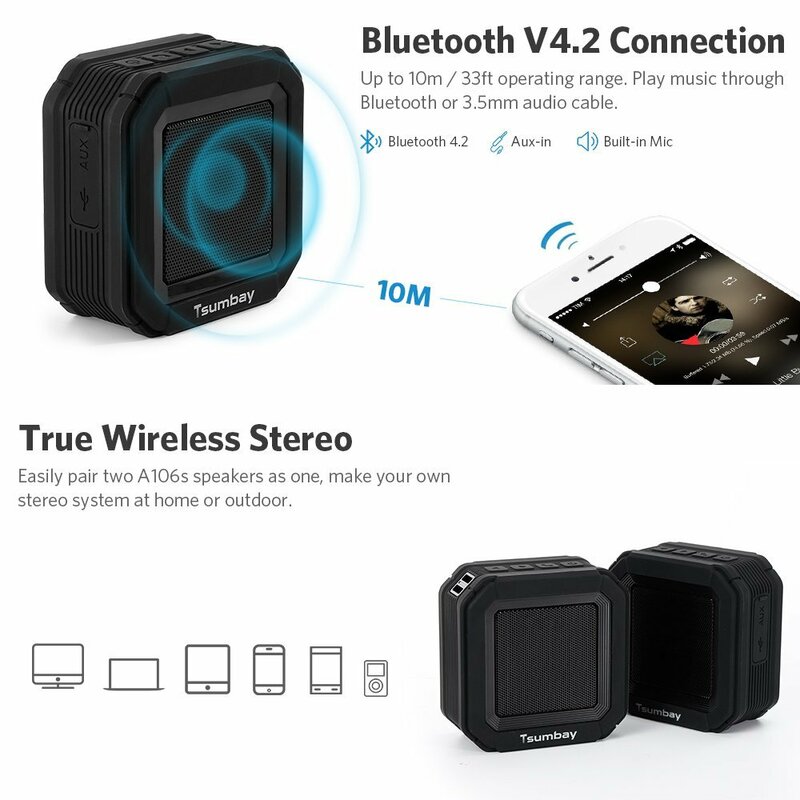 Make you own stereo system at home or outdoor with this portable bluetooth speaker with TWS (True Wireless Stereo) from a wireless left and right channel system to deliver true stereo sound effect. Whether you’re partying, working out, or just lounging around the house, enjoy a full-range stereo sound with impressive volume. SAVE $5 by using coupon checkbox! It is mandatory to like Tsumbay on Facebook , Twitter and Instagram. Prize will be sent by Tsumbay few days after giveaway end.